Ben you just destroyed Facebook and the whole social media industry. Who’s premise is you can engage with everyone all the time and that you should no matter what the return value from any of them are. I suspect it’s not a huge revenue stream for them, but they definitely have invested time and money into it. 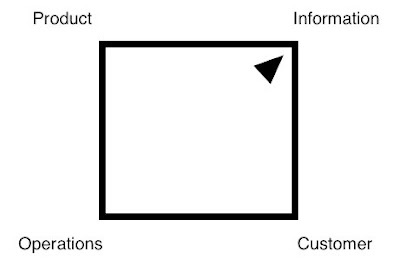 So, after noodling over this some more it dawned on me that what you describe here is actually the construct for how brands like Nike (specifically Fuelband as an example) are turning products into utilities, a scenario in which consumers of those utilities become a part of the media and technology pieces themselves, and in which the flow of information is dictated by the relationship people have to those products and to each other (also blurring the lines between what is deemed “social” media). This is what constitutes “platform” in the 21st century. 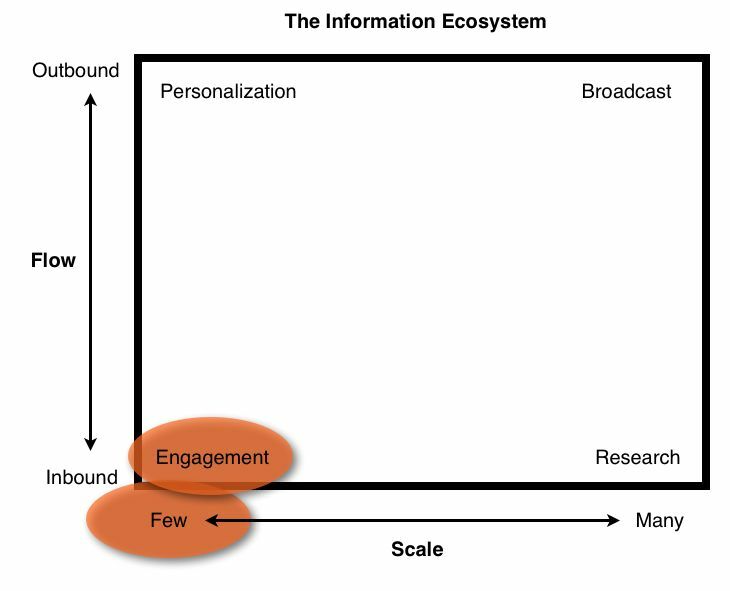 In short, brands like Nike and the others you mention use the 4 pillars in the ecosystem to determine the level of interaction such that different communications strategies can be employed and different times. 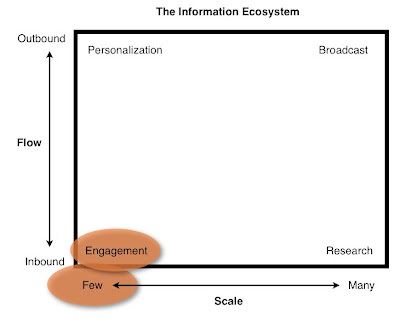 The other thing to note here – and what you strongly allude to – is that these determinants are not based on time, attention or media placement, but rather on the point at which consumers are reacting or interacting with the brand within the lifecycle or parameters of the ecosystem (that is, if the brand presents its product – in this case, Fuelband – as a true utility). It’s funny because perhaps “engagement” is something that doesn’t even need to be called out in this scenario — if the utility is there and the platform can scale (symbiosis of people + tech + intention) then you have all that you need as a brand. Nike may be an example of a formerly product-focused brand that is moving into information competition. Nike+ certainly does create stickiness, and once it has scaled, the information system is very hard for competitors to duplicate or displace. At a certain scale, companies as large as Nike must compete in several dimensions at once — product (hot new sneakers), operations (profits derived from managing supplier costs), and customer service (some portion of monitoring and engagement is required). 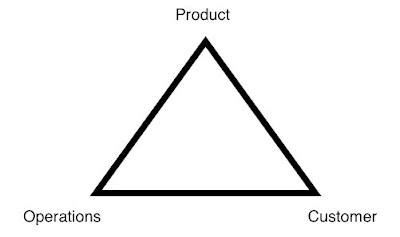 Another 1990s consultant, Hammel I think, built yet upon Treacy by suggesting companies can compete in many directions at once, and the trick is to set up the right balanced portfolio. 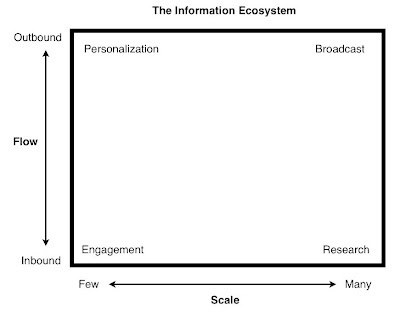 From this view, information could be overlaid as a competitive prong. 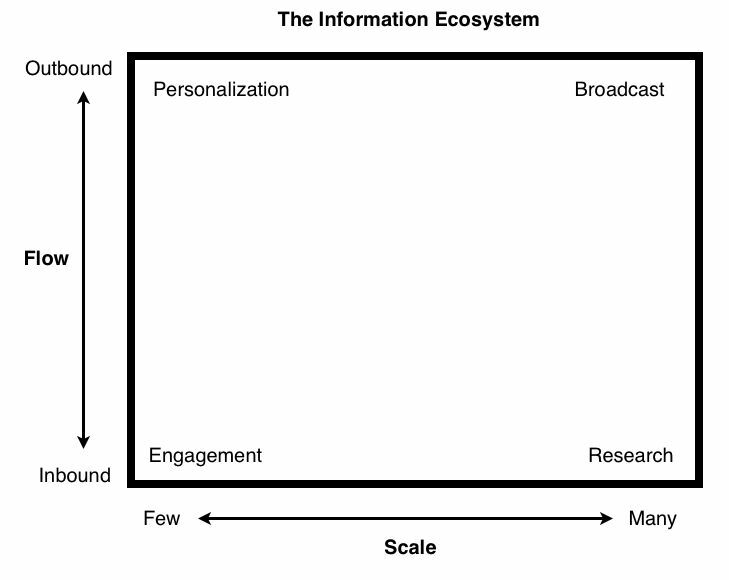 The question reverts to the same, though — what is the focus of the information strategy, and is it aligned with the structure of the customer network.